Max is a miniature schnauzer and recently crossed over the bridge to doggy heaven. His owner will be receiving this painting on the one year anniversary of her son's death, who also happened to be a dear friend of mine as well. 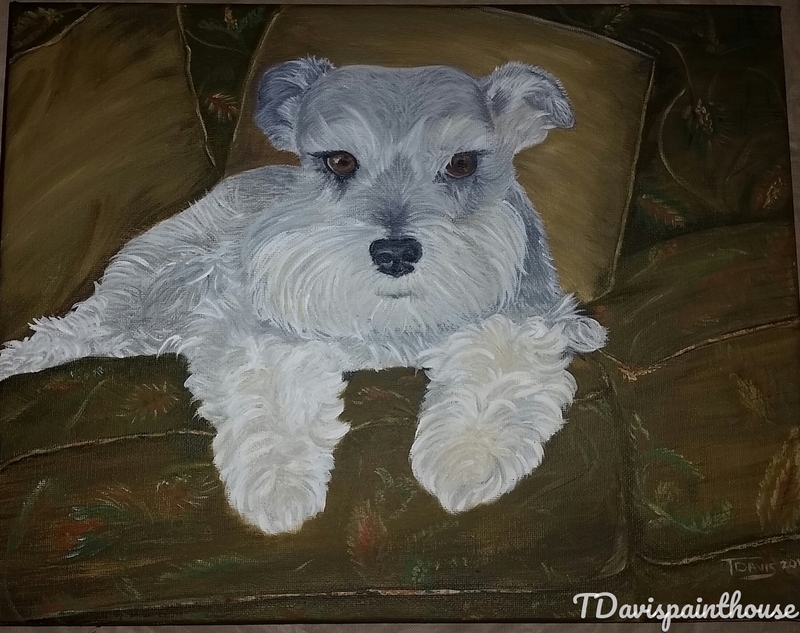 I'm hoping she will find Peace with having this memorial painting of Max sitting on his favorite couch as I was able to put my soul at rest while painting him. Shipping: Your Painting will be professionally packaged for shipping and shipped without a frame. USPS First Class at No Cost To You.